Shakrullah (50), who was from Pakistan Punjab’s Sialkot, was hit with a large stone during the prison fight, an official said. 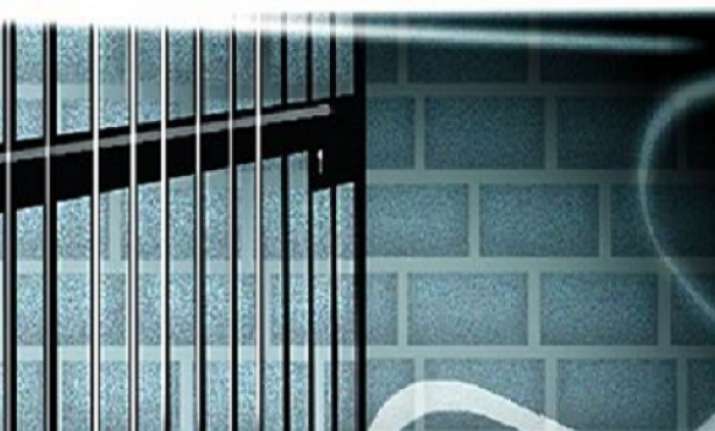 Amid growing tensions between India and Pakistan after the Pulwama terror attack, a Pakistani national lodged in the central jail in Jaipur was allegedly killed on Wednesday in a brawl with other prisoners. Commenting on the incident, Rajasthan Director General of Police Kapil Garg said, "A Pakistani prisoner was allegedly murdered today in the central jail. The matter will be investigated by a judicial magistrate and also by the police." According to Inspector general (Prisons) Rupinder Singh, Shakrullah was lodged in the jail’s special cell since 2011 and was serving life sentence under the Unlawful Activities (Prevention) Act. Police officials along with senior administration rushed to the jail after learning about the incident. The autopsy will be conducted on the jail premises under judicial supervision, Singh said. Meanwhile, Pakistan on Wednesday expressed concern and sought response from India on reports of the killing of a Pakistani prisoner by Indian inmates in a jail in Rajasthan's capital Jaipur. According to Pakistan's Foreign Office (FO), he was beaten to death by a group of Indian inmates in retaliation of the Pulwama incident. "Pakistan is gravely concerned at media reports regarding the brutal killing of a Pakistani Prisoner," the FO said. It said Pakistan's High Commission in New Delhi has officially raised the issue with the Indian authorities and requesting them to urgently authenticate the report. The response is still awaited, it added. Pakistan also called upon the Indian government to ensure foolproof security to all Pakistani prisoners lodged in Indian jails as well as Pakistani visitors to India.